With the percentage of overweight people constantly rising in the UK, many people exercise with a priority to losing weight and toning up. 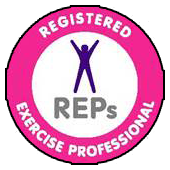 Hiring a Personal Trainer will ensure you get all these elements right in order to see maximum and lasting results. Whether your goals focus is on weight loss, general fitness or even muscle gain, nutrition is still an integral part of any training program. Your diet will play a huge role in optimising your results and the time they are achieved in. Understanding your diet is essential to your overall wellbeing. Eating the right foods, in the right amounts and at the right times allows for optimum nutrition. This will also keep you more in tune to what agrees with your body and most importantly, what does not! Having this knowledge is crucial to maintaining optimum health as a poor mix of foods or even having food intolerances can result in the increase of toxins in our system which can cause serious health conditions and exacerbate pre-existing symptoms. Eating the right foods not only helps in the maintenance and loss of weight but can improve overall health, increase energy levels, maximise alertness, improve skin and hair, ease pre-menstrual tension and generally gives that feel-good factor. Based on an analysis of your eating habits and patterns, I will offer advice and recommendations that will encourage alternative and healthier eating plans. "Nutritional Advice on your eating habits will be included FREE as part of a personal training Package!" 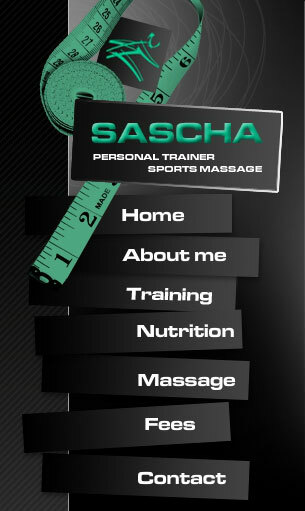 6 months after I started my recovery from anorexia I started personal training with Sascha. We talked to great lengths about my food control to the point Sascha wrote me specific meal plans. She then asked me to record my food every day and then we would go through my food diary in my PT sessions each week, this really helped me to stay on track with my eating. Within in no time my weight was going up my food intake was controlled and regular, my hydration had improved and I was finally getting shape and tone to my whole body. Sascha has put so much time and effort in to helping me and I can honestly say that without her I wouldn't be where I am today! Thanks to Sascha's nutritional advice/help and personal training my BMI & Body Fat is finally in the healthy bracket, my confidence has improved and my life has completely changed for the better!